Joyce claims that the difference between the Bangladesh tender of $8 million and the cheapest New Zealand one was $14 million and yet one local firm claimed that they could have built it for a total $14 million. When the Government advertised the contract for the Auckland conference centre they obviously already had Sky City in mind and ensured that the company was well instructed as to what would make a successful bid. Of course it was later found to be unfair and poor practice but they were prepared to do this for their preferred company. Obviously one should provide a level playing field for all bidders but it is interesting that if one New Zealand firm was able to build the ferry for a much cheaper price there was little effort made to encourage a local firm to make a more competitive offer. It is also interesting that the Government was reluctant to support our local boat building industry at a time when many are struggling because of a current downturn in demand. The America's Cup Challenge has just recently ended and the Government provided $36 million to support the campaign and is providing $5 million in bridging finance for the next one. The justification for the support of the rich boys' yacht race is generally the spinoffs for our local boat industry. 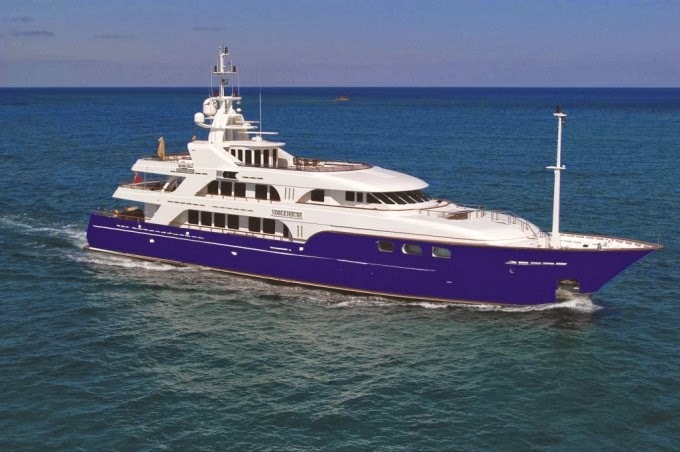 The award winning super yacht builder Fitzroy Yachts (employing 120 people) has just closed its doors because the current demand for luxury boats is not great. One would have thought that there would be benefits in ensuring that skilled boat builders were kept in work so that they could take advantage of a future upturn. While Joyce considers that supporting our boat building industry may lead to economic suicide he did not hesitate to ensure that his old firm MediaWorks was given a $43 million loan against advice. Warner Bros was gifted with immigration law changes and around $67 million of subsidies (whether we would have received return greater than this investment is debatable). We also saw the hugely profitable Rio Tinto being gifted a $30 million subsidy to ensure that the Meridian asset sale could go ahead and again with Treasury advising that there would be little economic benefit. The most obvious parallel with the ferry deal would be the controversial decision to award the building of 300 railway wagons to China. This deal was effectively the death knell for Dunedin's Hillside workshops. When a later contract to build 3,000 wagons came up Hillside was discouraged from even putting in a bid and the workshops were closed soon after with the loss of over 200 skilled jobs. When so many contracts go to overseas suppliers it also results in a flow of funds going off shore and this has a direct impact on our current account. New Zealand's current account deficit was the worst in the OECD and while this has improved somewhat we are still well away from having the smallest. Our large current account deficit is related to our dependence on loans to overseas banks and the fact we have to import more than we produce. Our dependence on offshore providers for oil, fertilizer, dairy feed, cars and electronic goods will be ongoing unless we can become more self sufficient. Every time the Government awards a contract to a New Zealand supplier we are investing money back into our domestic economy and ensuring skilled workers remain in the country. Obviously every time a contract goes to a local company the wages remain here and are spent in local shops and support other businesses. It is currently costing the country over $3 billion annually for Working for Families and the Accommodation Supplement, largely because we are developing into a low waged economy with fewer skilled jobs available to workers that will pay livable incomes. While Steven Joyce may be giving Bangladesh and China contracts that are in the short term cheaper for our country, the fact that we are losing our skilled workforce will have ongoing consequences. Few countries run completely open economies and most governments make an effort to protect their local industries from outside competition to varying degrees. New Zealand has always struggled to get a foot hold for our agricultural exports in the US and European markets because of the subsidies and protections they have for their own farmers and agricultural sectors. New Zealand also is the third easiest country in the world for doing business in and has the fifth most free economy (the US is ranked 7 places beneath us). This makes it very easy for overseas companies to establish themselves here and means our local businesses often have to compete in open markets against companies with much greater capital and resources. I worry that many New Zealand companies with great potential get taken out by by overseas competitors before they really have a chance to prove themselves. Hanging over all of this is the secret negotiation of the TPPA where it seems corporate interests have undue influence and this threatens the sovereignty that individual countries should have over the use of their resources and the protections they have for their environments. If Steven Joyce was asked to produce the Government's procurement policy, would he be able to produce one? Even if he did I wonder how many exceptions could be immediately produced? 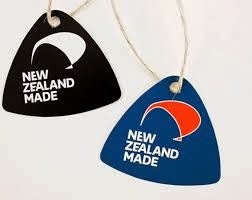 It was no coincidence that one of the first things the National led Government did when getting into power was to wipe the Greens' led "Buy Kiwi Made" campaign. In terms of applying the rules there is an undertaking to become more accountable have robust processes, deliver better public services and support economic growth. While all of this seems admirable and (given what has happened up till now) we should see a marked improvement in transparency and accountability, however, there are some worrying elements. Under the heading 'The Rules and our international commitments' it states: The Rules are the single source of all New Zealand's commitments on government procurement, including international agreements and treaties. What is considered "good international practice" needs to be made clear. We have already seen a willingness to bend over backwards to encourage overseas corporates to engage and invest in New Zealand, Warner Bros., Rio Tinto and a number of oil companies have benefited from our Government's generosity in providing corporate welfare and changing legislation to create attractive employment conditions (negatively effecting local workers) and limit opposition. It seems reasonable, given what we have already heard about the TPPA negotiations, that the amount of protection and support for New Zealand businesses, workers and our wonderful environment will be further limited. "with the loss of over 200 skilled overpriced union jobs"
There, I've fixed that for you. Meanwhile our expensive wages continue to make us highly uncompetitive in real world markets. "Our dependence on offshore providers for oil, fertilizer, airy feed, cars and electronic goods will be ongoing unless we can become more self sufficient"
You've got to be joking making such statements when greenie loons have an outright ban on anything re oil/gas/mineral extraction. You have evidence of this? What were these overpriced wages? It is clear that this government wants to discourage workers from having collective representation so that they can keep wages low and reduce basic rights such as tea and lunch breaks (these are being reduced to negotiable conditions rather than basic rights). The success they have had in shutting unions out of involvement in health and safety resulted in Pike River and our terrible forestry statistics. Oh dear, PM, being self sufficient in energy doesn't mean that we have to use oil. Do you realize that there is now an electric motor racing series called Formula E? "You've got to be joking making such statements when greenie loons have an outright ban on anything re oil/gas/mineral extraction." Talk to anyone with real knowledge of the oil extraction industry (outside the industry itself) and they will tell you of the extreme lunacy of this Government to subsidise and encourage risky deep sea drilling with, minimum oversight, no emergency infrastructure and royalties that are amongst the lowest in the world. Our policies are all about having an actual energy strategy and having a properly planned transition to renewables. If this Government has a strategy it is just called "drill while you can!" Here in Southland we have a mothballed lignite briquetting plant built by Solid Energy, it is a $30 million dollar monument to fossil fuel folly. PM you are caught up in the hype that has been spun for so many years. High wages are not the cause of our economic ills and if you think we should be a low paid subsistence economy just say it. Personally I would rather be part of an economy which treats people fairly. Our wage structures are below our Tasman neighbours so hard to see what you could compare with. Some may still be worried about the commies under the bed but the reality is what is needed is a three way interaction between workers, business and government. The reality of that is workers need a voice and unions can do that. I think what Bean Sprout is saying is lets have a consistent approach to things rather than have the present selective policy which pours millions of dollars into things like the Americas Cup and the Film Industry, both of which create none of the long term stability we need. What happened at the Hillside workshops was economic vandalism and that huge base of expertise and experience is lost to the country. How can you value that loss? PM of NZ. While I am confident you believe the wages were too high, and this caused the difference in price, it turned out that the difference was actually the quality of the product delivered. In short, the wagons and engines were rubbish. Your leap of faith to "it's the union's fault" is unjustified. Bsprout the procurement processes are more than peculiar, they are either incompetent or corrupt. These days there are plenty of "procurement specialists" in large organisations, so I think we can rule out incompetent. Philip, pmofnz cannot price the loss because he does not acknowledge it as a loss.